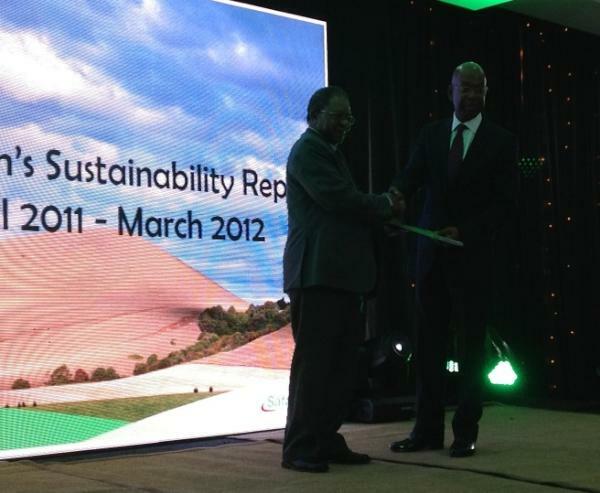 Safaricom today launched its first sustainability report, a bold step aimed at transparency and integrity. The report follows in the footsteps of sustainability reports from KCB (2009) and Nation Media (2010). In Africa, South Africa leads in sustainability reporting with 86% of the country’s top 100 companies publishing these reports in 2008. Sustainable business practices focus on social justice, governance and environmental management. Sustainability dwells on the assessment of internal business policies and the firm’s efforts to introduce transformational products and services to the market. Safaricom already has one such product in Mpesa. The report was prepared independently by KPMG South Africa. Some of the issues covered are risks posed to gender balance, energy consumption and documented cases of fraud. So far, the firm’s sole performance benchmarks have audit and risk management operations. From the report, stakeholders can get insights into the company’s anti-corruption efforts, including discovery and arbitration of fraud cases. It serves as a guideline to the firm’s efforts in the creation ethical business policies. Also highlighted are Safaricom’s future plans for socially responsible investments. As a signatory to the UN Global Compact and the Code of Ethics of Business in Kenya, Safaricom has made a committment to ethical business practices. To deter staff from fraud, the firm has increased prosecution of fraud cases. There have also been intensive awareness sessions which are supplemented by emails and bulletins to the staff throughout the year. The firm has created subsidised gym facilities, crèche facilities and leisure amenities as part of their employee wellness programme. As an effort towards talent retention, they also have a blend of instructor led and e-learning courses which are accessible to their 2750 employees in the categories of officers, specialists and operatives. Safaricom also seeks to bring gender balance into its employee population which currently stands at 1:1.3 female to male ratio. Analysis of Safaricom’s carbon emissions has prompted the adoption of ‘green’ solutions in their operations. The firm’s environmental management framework has helped them devise an automated system modelled around ISO14001. While setting up close to 300 base transceiver stations in 2011, Safaricom has conducted environmental impact assessments to determine the sustainability and environmental soundness of the installations. In February 2011, Safaricom invited its vendors and regulatory stakeholders to a workshop that showcased its initiatives in green energy awareness. Safaricom generally wants to improve diesel and electricity consumption in their facilities. With this they hope to establish a benchmark against other Vodafone companies in Financial Year 2013 with their energy performance baseline data. Safaricom has invested in many community initiatives which include sports, conservation of the environment, water and food security. Through the Kenyans for Kenya initiative, the firm was able to raise over KShs 677 million between July and August 2011. The initiative supplied emergency services to communities affected by famine in Northern Kenya. Efforts to provide long-term food security across the region, include pilot projects to be implemented in Turkana, Pokot and Moyale for provision of integrated water, sanitation, health and agriculture. The report gives Safaricom important visibility in the context of socially responsible investments. According to Aly-Khan Satchu, by integrating economic, social and environmental considerations into traditional financial analysis, Safaricom will be able to achieve long term shareholder value. A good report to look at I must say and the way its packaged in the fully flash site! I wanna take time to read the whole of it..The graphics are too much though..Better in print than comp.I think fundamentals are all taken care of.Lemmi delve in! There is a pdf version if you wanna opt for it, plus a version for mobile users. Carlos tried to summarize it in this post.